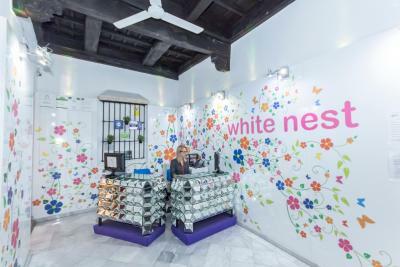 Lock in a great price for White Nest Hostel – rated 8.6 by recent guests! Friendly staff, cheap stay with basic needs, clean bathroom and laundry service, would definitely recommend. Great location! 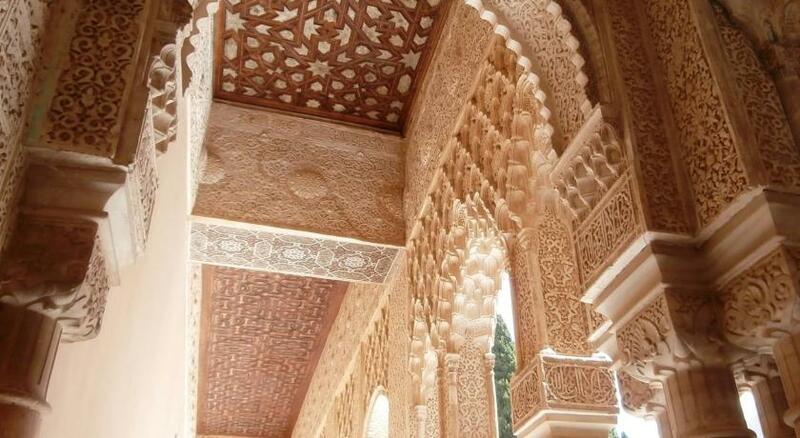 The Alhambra, the Cathedral, the flamenco shows were all within 20min walk. I stayed in a single room with a private bathroom—it was just like a hotel! 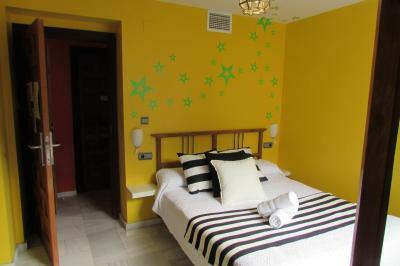 Very clean and spacious, towels, extra blankets, and soap and shampoo were all included in the room. The staff was very friendly and spoke English. 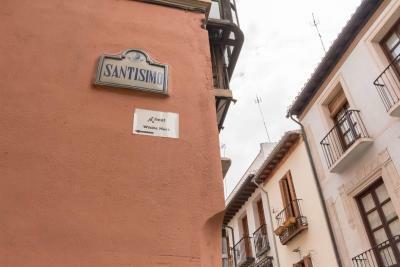 Free fruit and tea were available in the kitchen, and evening activities were offered each night, such as a tapas crawl and a pub hop. Great kitchen, the bed was comfortable and the room was small but ok. 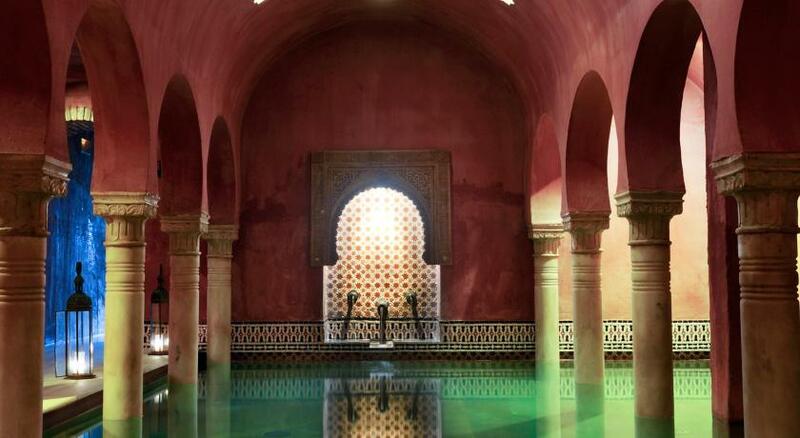 The location is incredible, right next to the Alhambra. Good staff. Very good attention during our stay. All the staff very friendly and willing to help always. 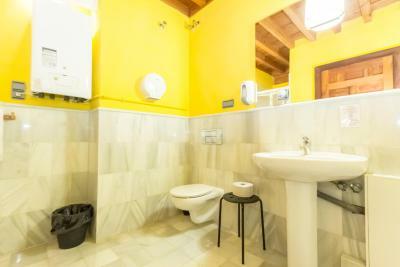 Location very near from city centre and you will find everything you need around you Staff very friendly. There are 2 computer with internet connection for gusts using. Totally the hostel clean and comfortable and have nice staff. The staff was awesome. They were like my family for a few days!!! Very friendly staff. I loved the fresh orange juice and fruit provided for breakfast. The highlight of my stay was the free group tour provided by an intern at the hostel. 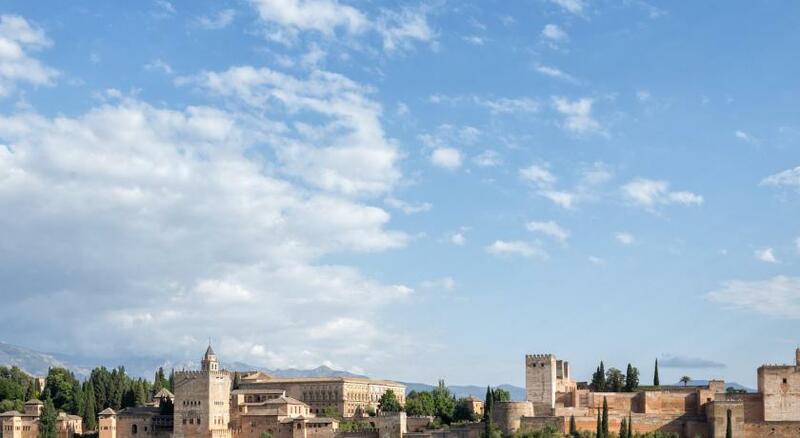 A group of us went to see the sunset and an amazing view of Alhambra. 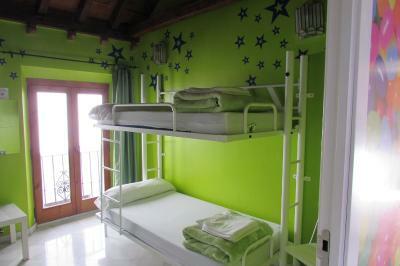 The hostel offers air-conditioned and heated private rooms, as well as shared and female-only dormitory rooms. 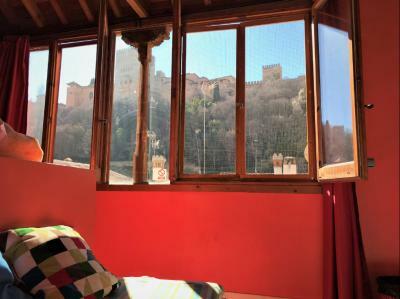 Some rooms feature a private bathroom or views of the Alhambra. Free coffee and tea is available and guests also have access to the kitchen with a microwave, kettle and fridge. 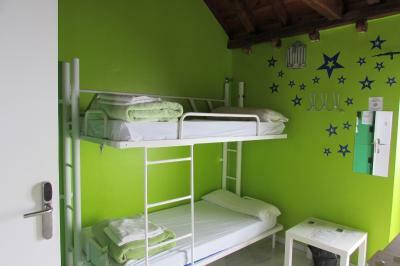 There is also a common room with a TV and DVDs, as well as a laundry room. The tour desk can provide tourist information on the surrounding area. 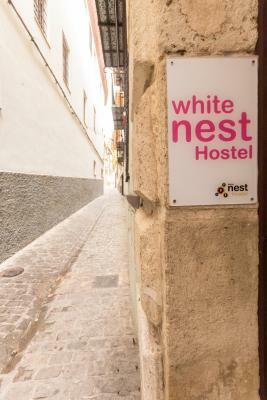 The White Nest Hostel is 1,950 feet away from Granada Cathedral and the Capilla Real. 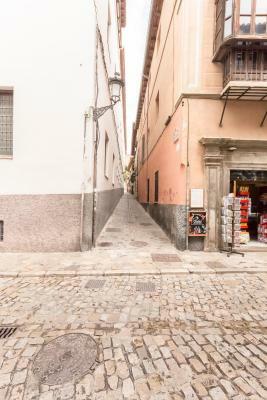 Due to its central location guests can walk to find many restaurants, bars and places of interest. 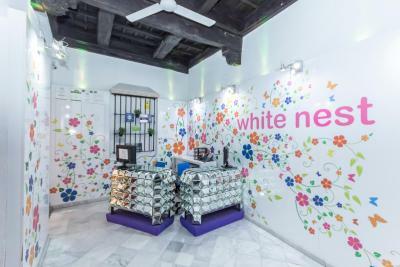 When would you like to stay at White Nest Hostel? 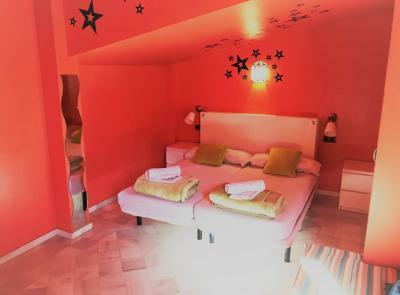 These colorful, air-conditioned rooms have free WiFi and high ceilings. 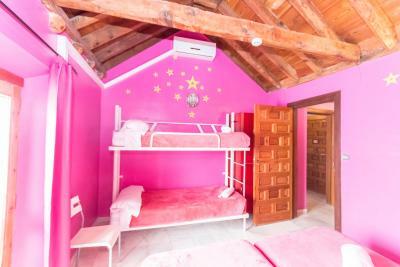 They come with heating, a wardrobe, and a a private bathroom with a shower and hairdryer. 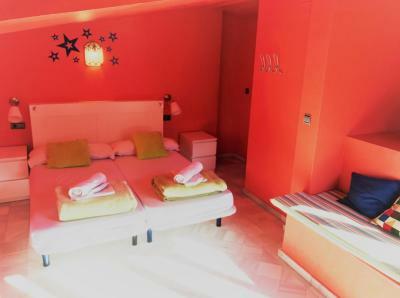 These colorful air-conditioned rooms have free WiFi and high ceilings. They include heating, a wardrobe and a shared bathroom. 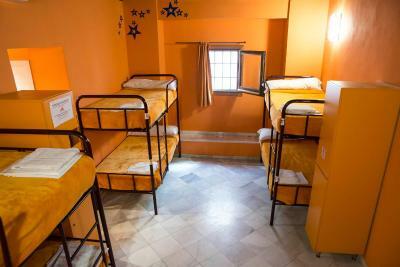 This colorful, air-conditioned dormitory has free WiFi and high ceilings. a private bathroom. 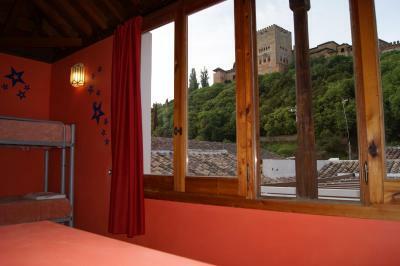 It has heating, a wardrobe and a private bathroom with a shower and hairdryer. 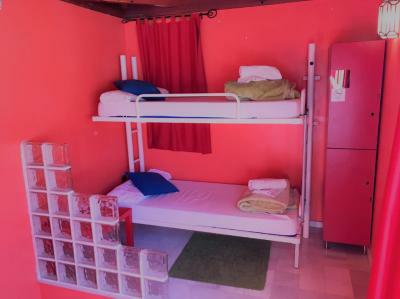 This colorful, air-conditioned dormitory has free WiFi, a balcony and high ceilings. 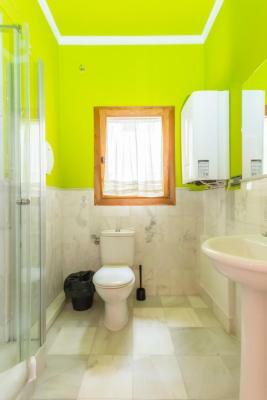 It has heating, a wardrobe and access to a shared bathroom. 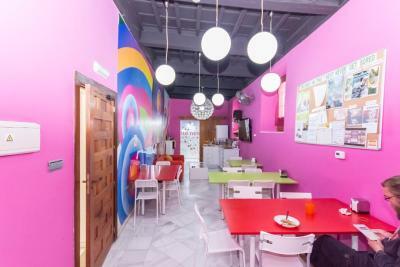 This colorful, air-conditioned dormitory has free WiFi and high ceilings. 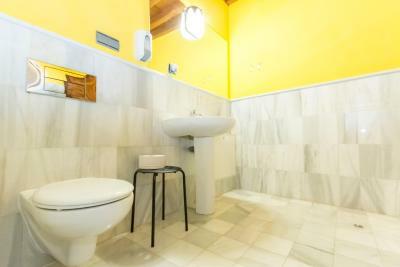 It has heating, a wardrobe and a private bathroom with a shower and hairdryer. 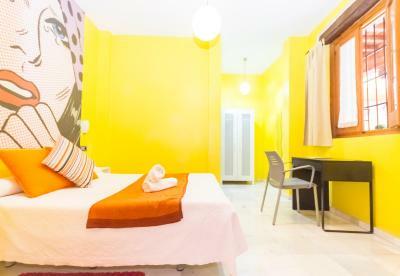 This colorful, air-conditioned triple room has free WiFi and high ceilings. It has heating, a wardrobe and 3 single beds. 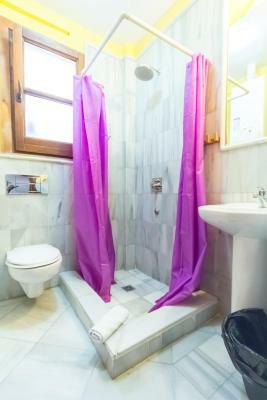 The private bathroom bathroom comes with a shower and hairdryer. 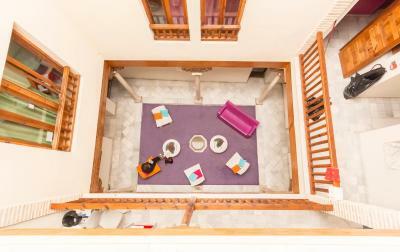 These colorful, air-conditioned rooms have free WiFi, a balcony and high ceilings. They come with heating, a wardrobe, and a private bathroom with a shower and hairdryer. 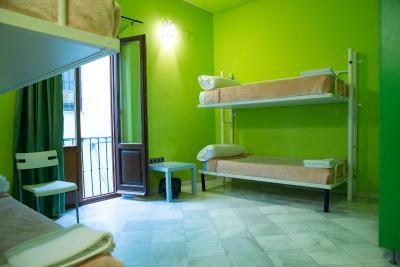 This colorful, air-conditioned dormitory for females only has free WiFi, a balcony and high ceilings. It has heating, a wardrobe, and a private bathroom with a shower and hairdryer. 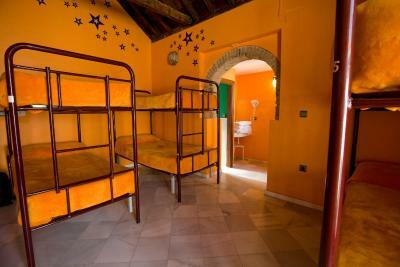 This colorful, air conditioned dormitory for females only has free WiFi, a balcony and high ceilings. It has heating, a wardrobe and access to a shared bathroom. 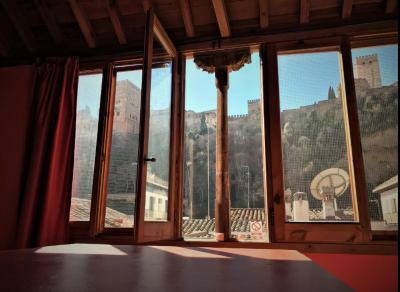 This colorful, air-conditioned dormitory has free WiFi, a balcony and high ceilings. It has heating, a wardrobe, and a private bathroom with a shower and hairdryer. This colorful, air-conditioned family room features high ceilings and free WiFi. 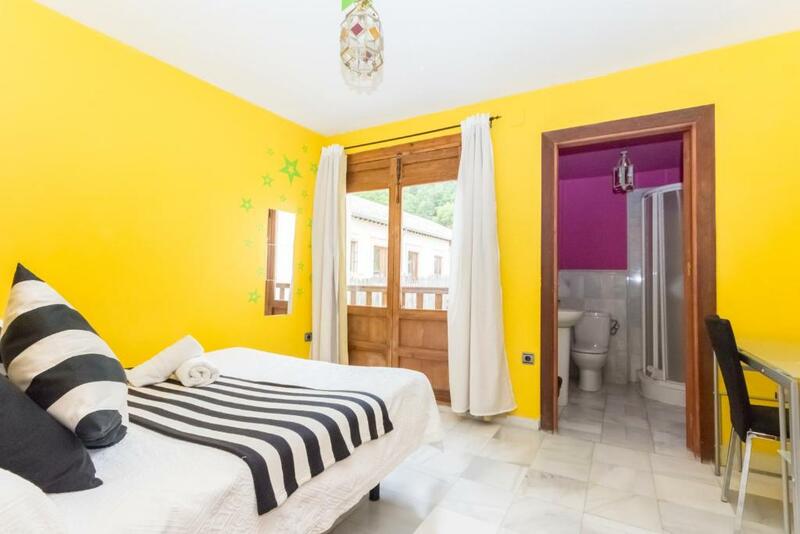 It has heating, a wardrobe and a private bathroom with a shower and hairdryer. 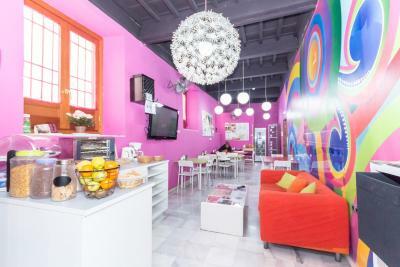 This colorful, air-conditioned family room features free WiFi and high ceilings. It has heating, a wardrobe, and a private bathroom with a shower and hairdryer. 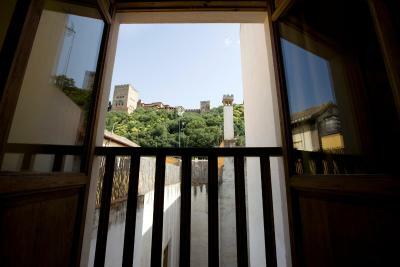 This quadruple room has a tile/marble floor, seating area and mountain view. 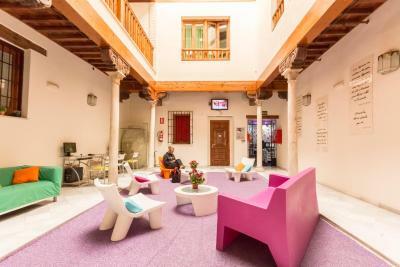 House Rules White Nest Hostel takes special requests – add in the next step! White Nest Hostel accepts these cards and reserves the right to temporarily hold an amount prior to arrival. 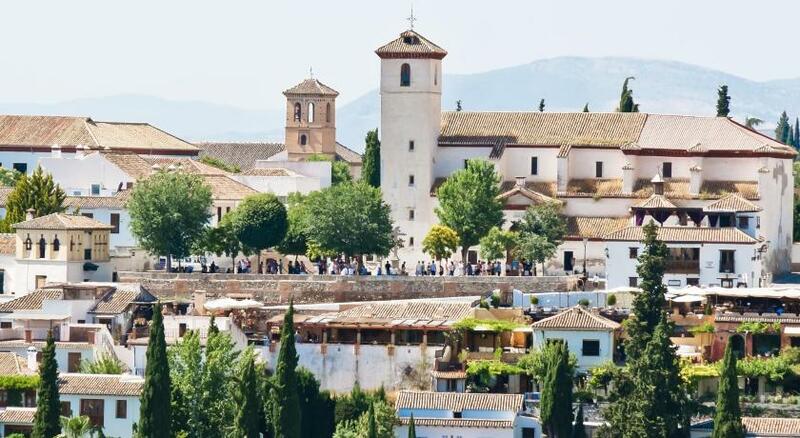 Please note that road access is limited in Granada. 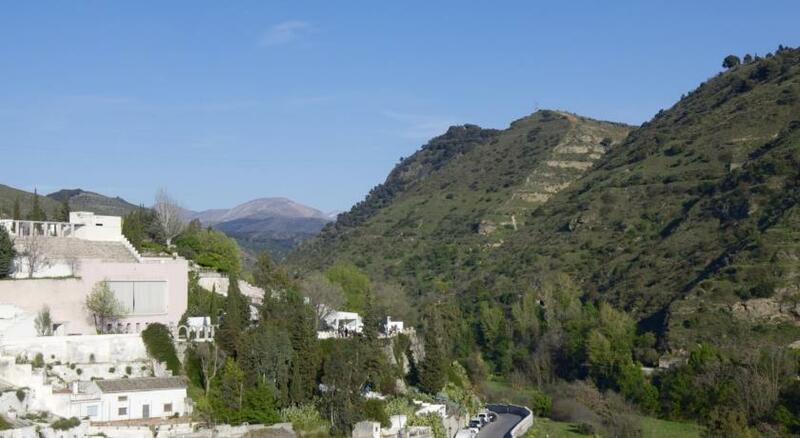 Guests planning to arrive by car are welcome to contact the property for more information using the contact details on the booking confirmation. Please note that guests under 18 years are not allowed in shared rooms. 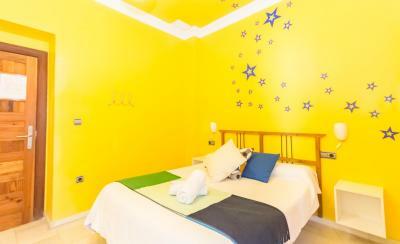 Children up to 5 years stay free of charge when sharing an additional bed. Please note that when booking 10 or more beds, different policies and additional supplements may apply. I had to wait for more than 40 minutes because the staff did not have my bed ready by the time I came. The bunk beds are of such a bad quality that whenever somebody turns in their sleep, your bed shakes. The room was dirty, and the bathroom was even dirtier. But the worst of my stay was that one of the night receptionists slept in his underwear during the day in the shared room I stayed in. 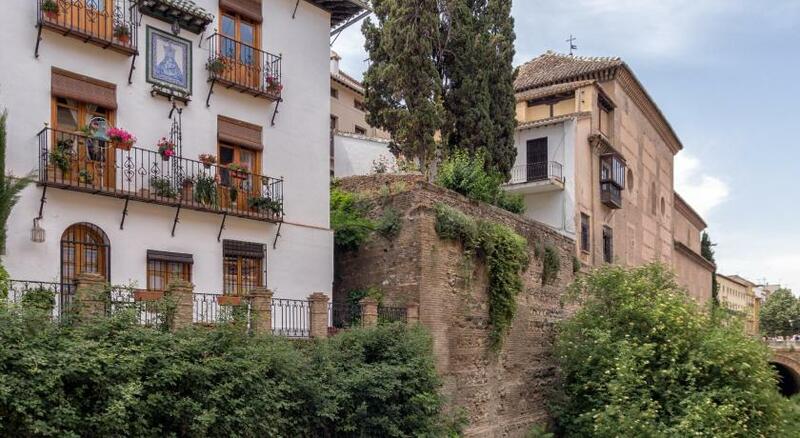 Good location, near the Alhambra. The staff, location and service arr owesome ! The shampoo dispenser in our bathroom didn't work properly, although the staff tried to repair it several times. This is just a detail though! Very nice staff, both at the reception and the animation, good location (close to all places you might want to visit), nice patio, basic but nice rooms. 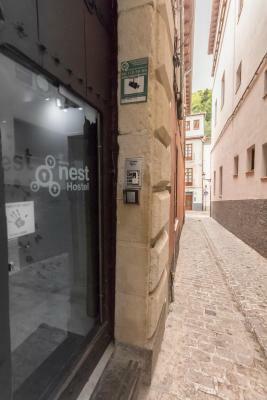 This hostel definitely gives you a "nest" feeling: cosy, friendly, a place where I would go back. it’s a fun space in a great location, feels very homey! I have asthma and am very sensitive to cigarette smoke. During the second day and night of my stay, my room stank of cigarettes; I woke up several times in the night because I was having difficulty breathing easily. Luckily, I had my inhaler and was fine, but if I had planned to stay for longer, I may have asked to switch rooms. It’s a shame that this one experience left a bad taste in my mouth because other than that, my stay was very enjoyable. There was just one bathroom for a room of 10 people, and one exterior bathroom which was hard to find free. Little space to relax. The location was perfect to go everywhere. The wifi was really really bad. It didn't work inside the room and even in the rest of the Hostel it was not of any good. Quiet location close to main sights. Held my luggage before departure. Real friendly staff.